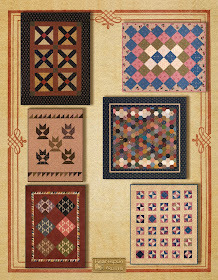 The quilt features sampler blocks in a traditional setting for the quilt center. 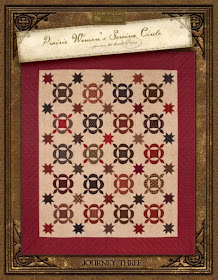 I added a stunning pieced border to finish the edge of the quilt in grand style! 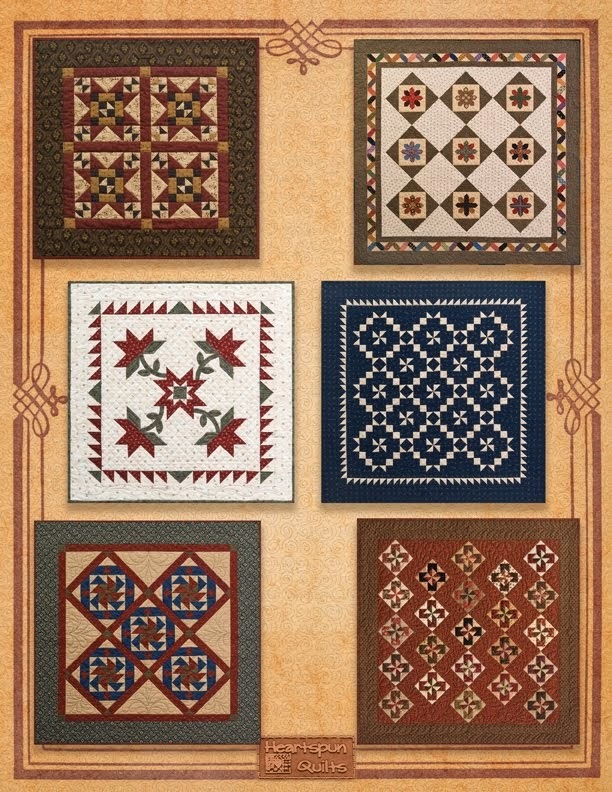 My Mrs. Miller's Apprentice fabric collection features a selection of light and blue prints in various shades to give sparkle to the quilt. 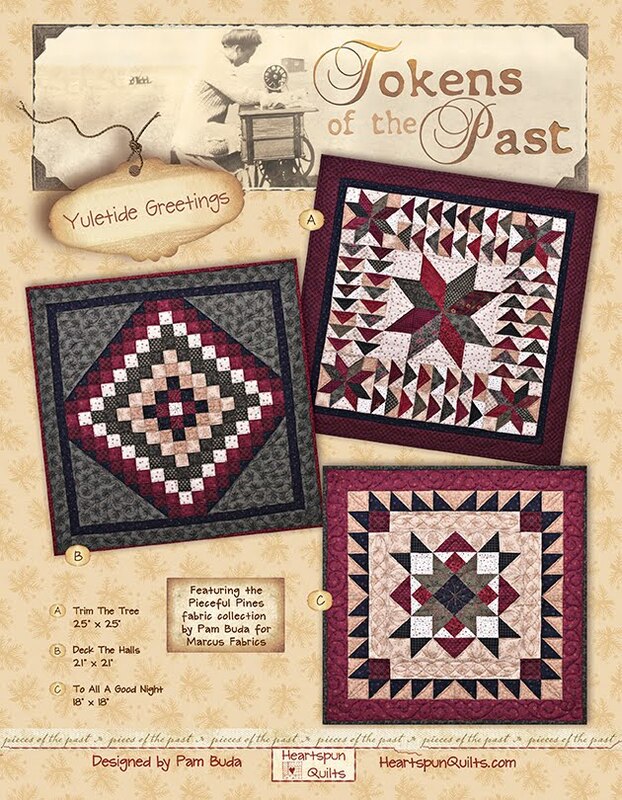 There are 27 prints for your piecing pleasure! I have added another element to this new block of the month. 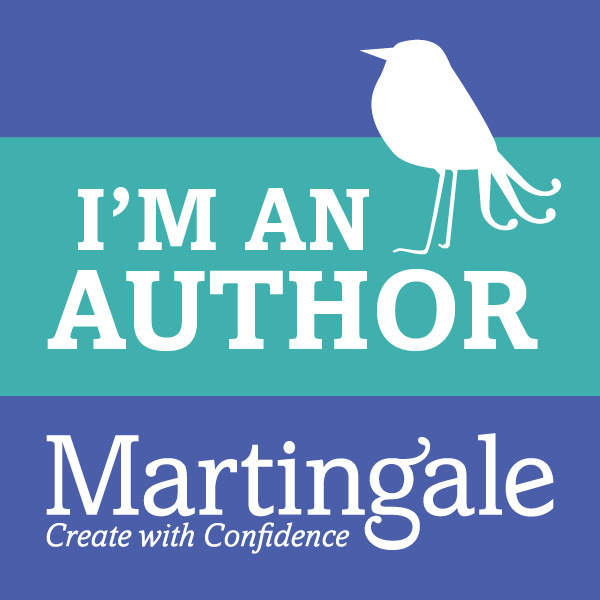 Each month you will journey to the mid-19th century and read a fictional diary written by Mrs. Miller as she tells the story of meeting young Ellie who just moved into the neighboring farm with her widower father. When Ellie shows interest in learning to piece quilt blocks, Mrs. Miller takes her under her wing, and not only teaches her to piece, but helps her learn many other housekeeping skills she will need to know. Every month you'll join them in creating a beautiful variety of sampler blocks and read the diary entries telling the story of their budding friendship. The quilt is being pieced right now and soon I will have some blocks to share with you. 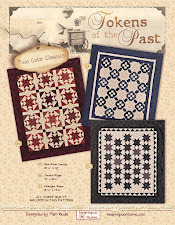 What better way to show off all the pretty fabrics than in pieced blocks? For now, here are some photos of the fabrics. I chose a wide variety of prints to play with. 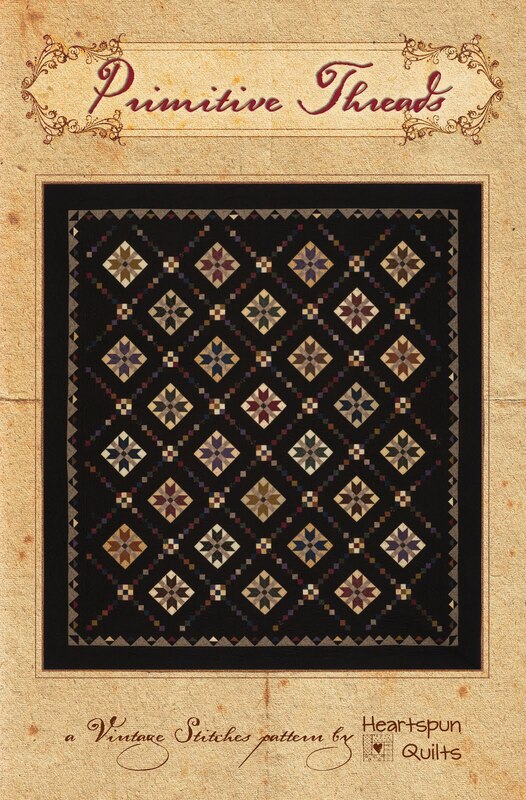 The blue floral at the far right is the main border print supporting the many different shades of blue in this quilt. I just adore the blue version and the light tonal version. I also added shirtings in both light and dark versions, and the tiny little sprig print comes in two shades. So sweet! I don't know about you, but I love, love a great paisley! The blue paisley turned out so great - beyond my wildest dreams!!! 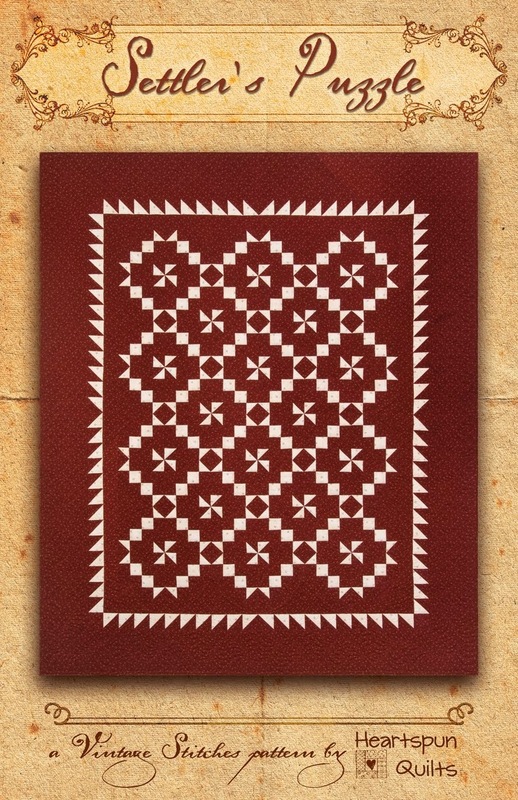 I can see using it as a border and setting print in a doll quilt. I created a beige tonal of that paisley as well. The middle three fabrics gave me terrific options for playing with shading and color. And...the fabric on the far right gives movement to the print and adds a lot of interest in the quilt blocks, too. I can't wait to show you how it looks in the finished blocks. You're gonna love it! 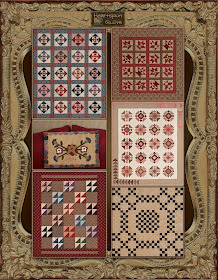 All of the Mrs. Miller's Apprentice prints are historic reproductions taken from my collection of 19th century quilts. I have been holding on to several prints for years, waiting for just the right collection and this quilt is just what I've been waiting for! The three prints on the far left, which look like spinning petals, is one of the best - most classic 19th century prints ever!! It has great movement and depth. Love, Love, Love!!!! The middle prints are sweet little ditsy prints that also have some movement in them. The last two prints with the berries is one of my all time favorite prints ever. I used it several years ago in my Treenware & Berries collection. It was done in brown back then and I think it is gorgeous in Indigo! Another classic print! 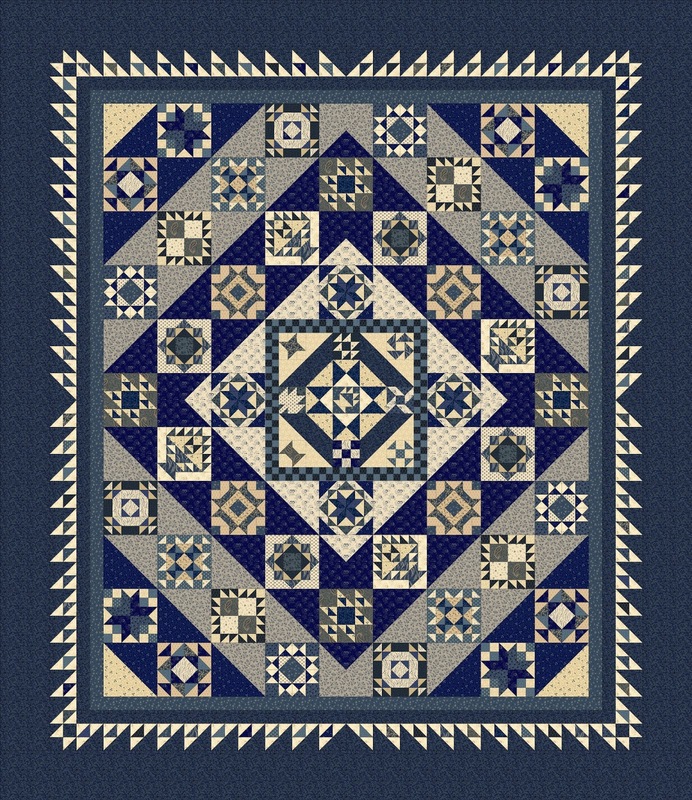 I wanted a beautiful medium blue print for this quilt and it had to be just the right kind of print, in just the right shades. I found it in the floral print at the far right. It;s definitely a medium but also features other shades of blues, tying all the shades together just as the main border print does. It's really lovely in the darker blue version as well, I think. Going left again is another shirting in light and dark grounds. I can never have too many shirting prints. Lastly, at the far left is another print I have been hanging on to for a long time. That sweet little flower just tugs on my heart. Oh how I adore that print. 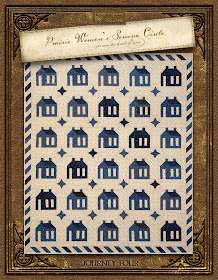 The Indigo version is perfect in its coloring, and the blue on light ground and beige tonal show off the print so well. I think I have to order extra bolts of all of them just to have them in my stash for future Indigo quilts. I hope you have enjoyed meeting Mrs. Miller's Apprentice. There is a story behind the name, and there really was a Mrs. Miller. Who do you think was her apprentice? More hints coming soon. As with all of the Block of the Month programs I design for Marcus Fabrics, you must join the program through a participating quilt shop. So...be sure to ask for Mrs. Miller's Apprentice at your favorite shop! Fabrics will be available in December. The program will begin in January, 2019. Quilt size is 77" x 89". 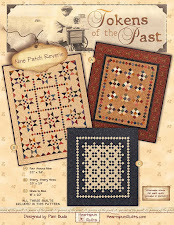 I'll post some pictures of the sampler blocks next time. They're almost all done and then we'll assemble the quilt top. 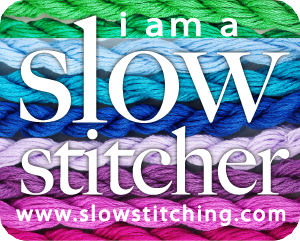 Until then, be well and hope you have time to stitch every day! Be still my heart!! All those beautiful blues!! My heart is a flutter and my head is spinning, I love all of them and all the lights as well!! 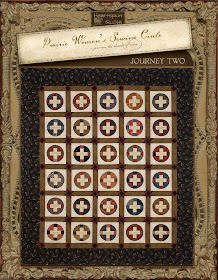 A beautiful quilt pattern once again also. Very exciting and can't wait to see the blocks soon. My next door neighbor was Mrs. Miller, who died just before Easter of this year. 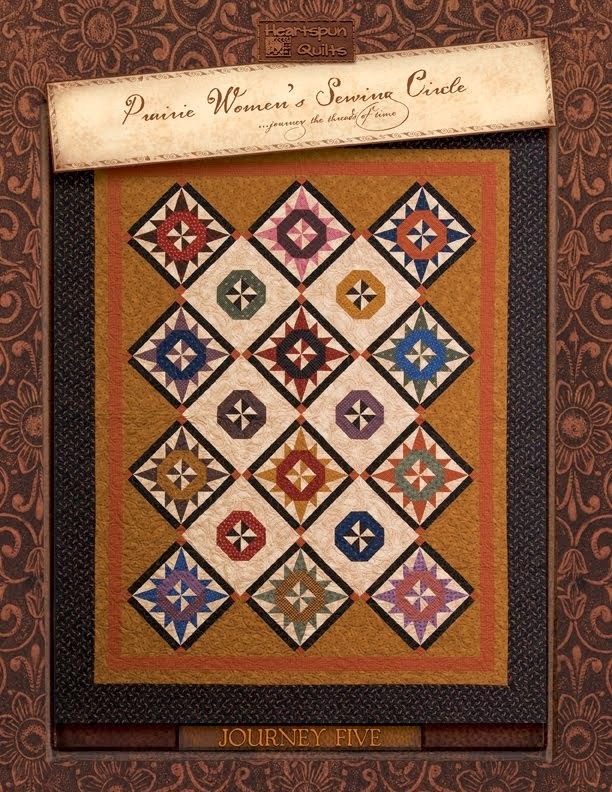 She would have been thrilled to hear that you named a quilt after her! LOL! 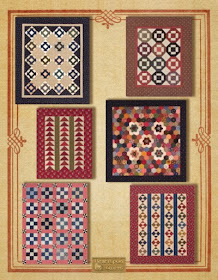 Looking forward to adding this fabric collection to my charm quilts! What gorgeous fabrics! Of course blue is my favorite color, especially indigos. I see a blue quilt in my future. Love your choice of blues & that the prints have a history. Going to have to find a participating shop. Beautiful fabrics/prints. Blue is one of my favorite colors.- can't wait to be able to buy these lovely fabrics. 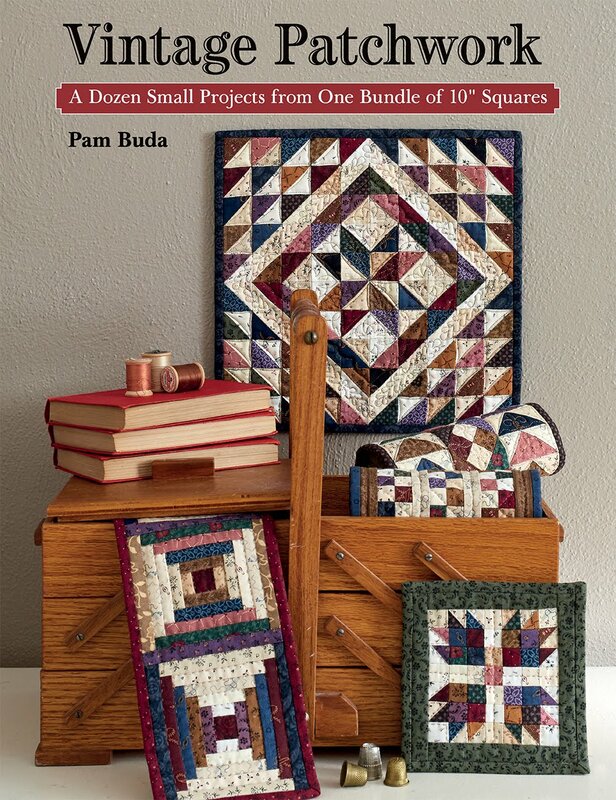 My guess is that your quilting teacher was someone named Mrs. Miller and that you were her apprentice. Could it be????? Hope you are doing well in your recovery. Oh Wow, Pam! Gorgeous as usual. I will guess that you were the apprentice, but in my mind I picture "Little House on the Prairie" times, so it's not just quite lining up in my head visually. Haha! I don't think you're quite that old! Have a great week. Love the light print in that first photo!! Wow, fantastic design and the new fabric line is yummiest,hard to pick only one best favorite!! 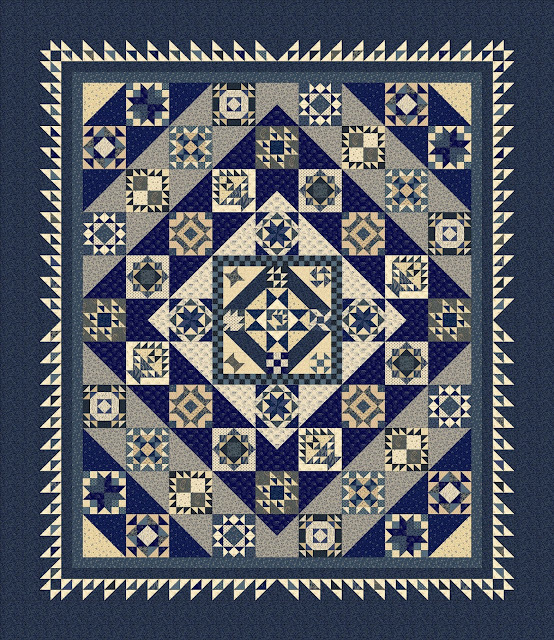 I love blue/white quilts, and this one is a stunner! Your fabric collection is beautiful. Something I really like about your single color collections is that they don't look like one line of fabric. It appears to be a gathering of a variety of fabrics from different sources, within the same color family, and that makes for a much better scrappy look! Good job, Pam! Hope your recovery goes more smoothly from here on out! I love the blues! It's beautiful! Love that new blue collection! Hope you are still recuperating nicely!! I love the quilt!! 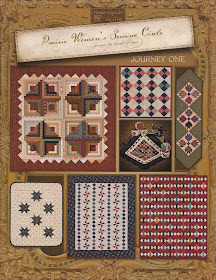 Can't wait to start on my quilt. Can you please tell me what the size of the blocks are? I Miss My Sewing Machine! !